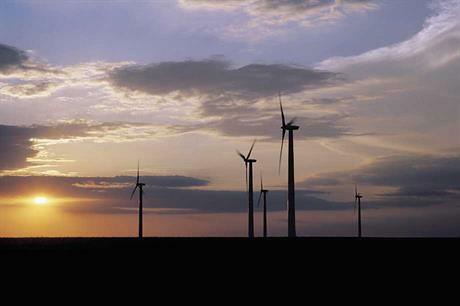 WORLDWIDE: Half-yearly results show the effects of the downward trend in the cost of wind energy. Despite bursting order books, the manufacturers are taking a big hit. If financial result season often seems repetitive, this summer’s filings were doubly so, with most of the major wind turbine manufacturers reporting similar themes: orders are up, but revenues are down. Pressure on prices is growing. Income at some of the biggest turbine makers fell on average 30% in the first half of 2018, while the price of onshore turbines fell around 20%. However, most of the OEMs were confident the second half of 2018 and into 2019 would see a return to higher incomes as order books bulge. From January to June 2018, Siemens Gamesa Renewable Energy (SGRE) saw revenue total €4.38 billion, down roughly 25.5% from the same period in 2017 — the first three months of which the companies operated separately. This is despite order intake roughly doubling year-on-year across the two quarters to a total of 5.8GW. SGRE is still facing a number of integration costs as a result of the merger 18 months ago, which continues to affect profits, but it did reveal the average selling price (ASP) of its onshore turbines fell from €920,000/MW in January-June 2017 (pro forma) to €720,000/MW in 2018. In its financial report, the Spanish manufacturer said wind turbine prices "were the main drag" on the group’s performance in April-June 2018. This trend can be seen across the board with many of the major turbine makers. Denmark’s Vestas recorded revenues of €3.95 billion, down 3.4% year on year in the first half of 2018. Order intake, meanwhile, was 15% higher, totalling 5.4GW across the six months, creating its biggest ever backlog of 13.5GW — worth €10.2 billion, the firm said. But Vestas also witnessed a severe drop in the ASP of turbines, which fell 15.4% from €848,000/MW to €717,439/MW. "In the second quarter, the price per megawatt stabilised around the levels [seen] in recent quarters, but [this trend] continues to impact short-term results," said Vestas CEO Anders Runevad. Revenues for GE Renewable Energy, whose business includes solar and hydro activities, slipped 19% between January and June to $3.3 billion (€2.9 billion). It was not possible to calculate an ASP for its wind turbines from its financial report. It did however, report an order intake of 1.66GW. Germany’s Nordex also saw revenue fall 28% to €1.1 billion in the half-year, while Senvion’s revenue fell 46.5% to €466 million. Both firms saw order intake grow though. Nordex received 2.1GW in new orders, up from just 933MW in the same period of 2017, and Senvion had almost 1.1GW of intake, up from 870MW a year ago. Calculation of turbine sales totals and order intake found Nordex’s ASP fell 21.65%, from €969,561/MW to €769,623/MW, while Senvion’s dropped 19.8% from €935,000/MW to €749,765/MW. Despite the increase in orders, Nordex CEO Jose Luis Blanco said the company expects 2018 and 2019 "to remain challenging" due to "fierce competition" and "pressure on prices". Senvion’s interim CEO Manav Sharma was more succinct: "In the short-term, the industry needs to adapt to the new pricing levels," he said. This fall on turbine prices follows the downward trend of the cost of wind witnessed around the world, generally caused by the introduction of competitive tendering. While it means onshore wind is increasingly the most affordable new power-generation source, margins are being squeezed and manufacturers have to find new ways to manage costs. India-based Suzlon struggled too, with revenues in April-June quarter down by half year-on-year to INR 12.72 billion ($180 million). However, Suzlon claimed it has the largest backlog in the Indian wind industry — 1,134MW in firm orders and more than 700MW in framework agreements. In an interview with Indian newswire PTI, chief executive JP Chalasani said the firm was looking abroad once more to secure growth, three years after selling Senvion and shifting its focus to its domestic market. "We began looking at getting back into international markets last year," Chalasani said. "There was a time our exports were more than our domestic revenue. Then we went through a financial crisis, forcing us to slow down our international business and stabilise whatever assets we have. "But now that we have regained our market position, we are planning to re-enter international markets shortly," Chalasani told PTI, indicating the US and Europe as areas of interest. In August, Suzlon backed a new company in the US called Seventus, led by former Goldwind Americas executives. It acquired a 235MW project cluster in Montana, which will now feature Suzlon’s S111 2.1MW turbine, with construction expected next year. Elsewhere, the trade wars recently launched by the protectionist president of the US, particularly on steel imports, piqued the interest of the wind industry. Vestas’ Runevad said it was a "fluid environment" that was "creating some uncertainty". Vestas is considering its options to mitigate any changes by "utilising our global footprint and full value chain". In a call with analysts, Runevad said the changes to tariffs in the US could increase turbine production costs by "up to 1.5%" for the group as a whole. Runevad was keen to stress that this was a loose prediction of what might happen if tariffs are introduced. SGRE also noted the impact of tariff changes in its results presentation. It said it was "monitoring the situation and analysing the impact on product costs and on supply chain decisions".